(Photo courtesy of Ms. Sommergger). The hotel director on a cruise ship is one of the senior officers, second only to the captain. By far, most of the ship's crew are in the hotel department and the hotel director's responsibilities include almost everything that directly affects the passengers including accommodations, dining, entertainment, activities and beverages. In addition, the hotel director is part of the senior executive committee along with the captain, the staff captain and the chief engineer. 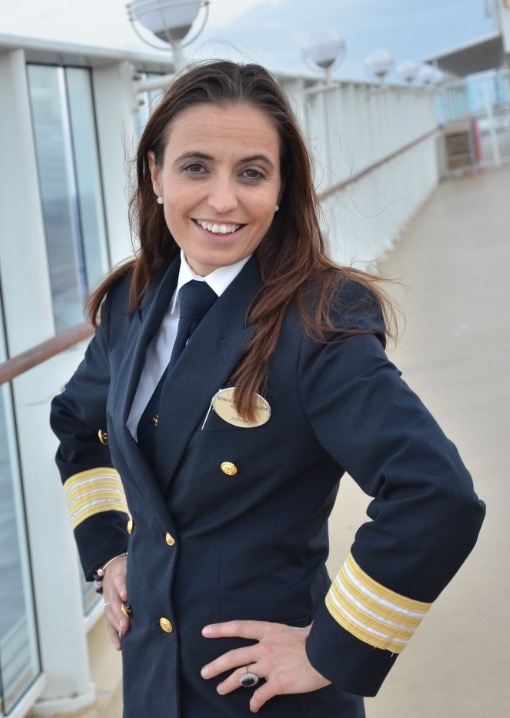 Looking across the cruise industry, there are very few women hotel directors, probably even fewer than the number of female captains. “I don't understand why it is only a few. I guess you need to be very strong, knowing what you want otherwise you would not be able to fit through,” observes Sonja Sommeregger, Hotel Director on Norwegian Gem. Some of her friends were working during the winters on cruise ships in the Caribbean and then working in hotels in Europe during the summers. Avoiding the cold European winters sounded good so Ms. Sommeregger applied to the cruise lines. She then began to work her way up through guest relations, starting as an associate and eventually becoming the manager in charge of that department. From there, she became an assistant hotel director and then food and beverage manager in charge of all the dining rooms and bars. After that, she was promoted to hotel director on Norwegian Dawn. Among the ships she worked on along the way were Norwegian Dawn, Norwegian Jewel, Norwegian Gem, Norwegian Epic, Norwegian Jade and Norwegian Breakaway. This is not to say that it was smooth sailing all along the way. Indeed, she thought of giving up the sailor's life a couple of times but the sea kept calling. On page two, Ms. Sommeregger discusses Norwegian Gem's continuing popularity and the changes made to the ship in the 2015 refit.